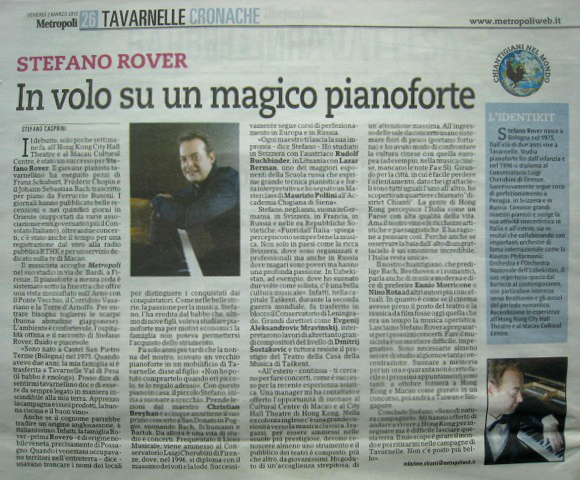 The sound of the pianist was magnificent and left a profound impression in the hearts of audience…..The playing of Stefano Rover is individualistic, professionally well-prepared, showing high artistry. No doubt Stefano is a talented pianist. He played these virtuosic pieces with astonishing sovereignty and energy.